New York City’s Natural Gourmet Institute has a policy of openness, and their forward-thinking food values attract a diverse range of students, fostering a community that, as CEO Jonathan Cetnarski puts it, “is very synergistic with the LGBTQ community at large.” Below, we spoke with two alums about their careers, and how a “health-supportive” culinary education has enhanced the work that they do. Dr. Colin Zhu is what’s called a locum tenens doctor—a physician who travels the country and works based on where doctors are needed. He’d always loved cooking, and with his mom being a doctor of Chinese medicine, he had an early appreciation for food and its medicinal uses. But as a medical student in the US, he got very little practical education about food for health. The knowledge base it provided him—seasonality, health, nutrition, technique—became a valuable tool as a doctor. To address the food-and-health information gap that saw among his colleagues, he became a resource for other primary care physicians, helping them incorporate cooking, food, and nutrition into their work with their patients. “Primary care physicians are the people in the trenches, and they’re frustrated that they don’t know enough about nutrition,” he says. 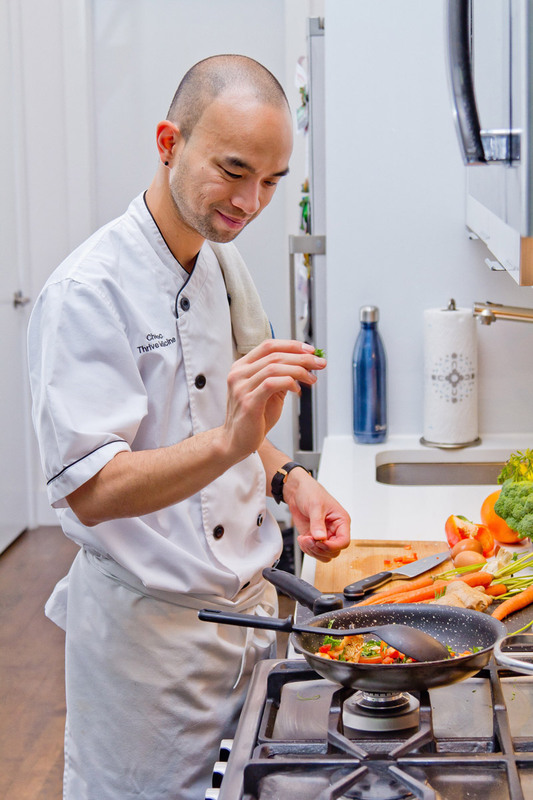 He oversees culinary medicine workshops and speaks to fellow doctors and med students, and advocates an approach to food that’s not based in nutritional biochemistry: focusing, rather, on making natural, whole, healthy foods taste good. For more information about Colin, visit The Chef Doc. class I could find. I just delved in." Nina Curtis grew up never wanting to cook professionally. But as an adult, food intersected with her work in two seemingly disparate fields: cosmetology and bodybuilding. As a licensed esthetician and leading wellness expert for nearly 30 years, she was an early advocate for edible skincare—the idea of nurturing one’s skin through one’s diet. Additionally, she spent 10 years as a natural bodybuilder. After she completed the program in 2014, she returned to Los Angeles and took a position at The Ranch at Live Oak in Malibu, where she worked for three years, ultimately as executive chef. 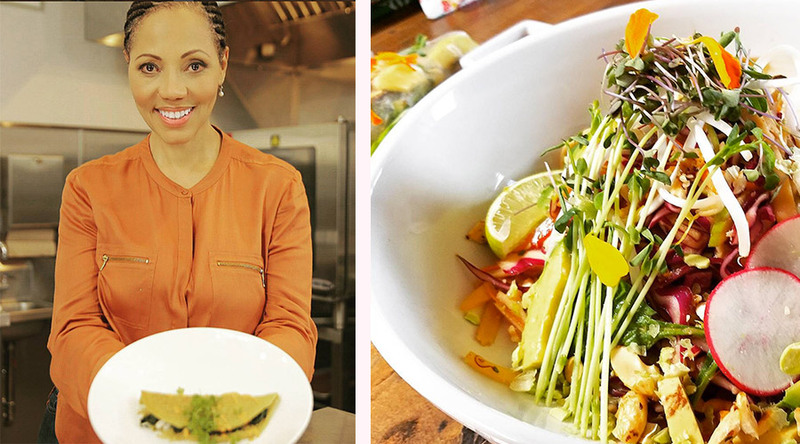 She has plans to become a naturopathic doctor, but currently cooks for a range of private clients and has begun a new Feastly dining series focused on raw, vegan Thai cuisine. For more information about Nina, follow Botanical Chef on Instagram.